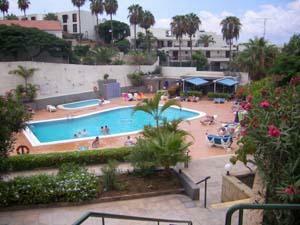 Playa Azul is a popular complex in the centre of Playa de Las Americas. 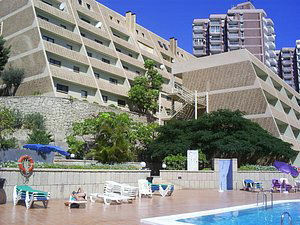 It has a lovely communal swimming pool with separate children’s pool and great pool bar, which serves drinks and snacks. There are also spacious sun terraces with sun loungers and sun umbrellas. It is just a few minutes walk from Veronica's strip where you will find some excellent nightlife with countless restaurants, bars and clubs. There is also a 24 hour reception and the complex also has lift access.